All thoses links will get you out of my website, so if you follow them, I hope to see you soon ! 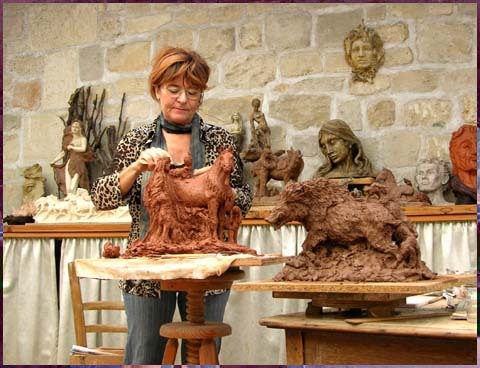 Group of artists (Oise and Tarn, in France) and the creations in all kinds of Christine Cornillot: cardboard, silk painting, sculpture, and so on. Would you let me be your teacher ? Small diary of an Irish Cob in Normandy. Petit journal de bord d'une Irish Cob en Normandie. "YouTube" videos from all around the world, because inspiration doesn't know any frontier !